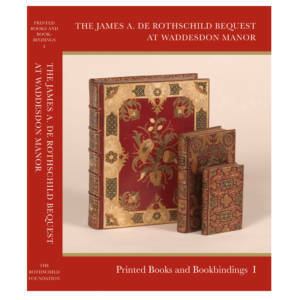 £300.00 More info & buy	The first volume provides introductory surveys on the collecting of ancient régime books and Baron Ferdinand’s interests. The following chapters discuss the late 17th and 18th century Parisian bookbinding trade, with particular studies on the style and production of leading bookbinders, Padeloup, Douceur, the Deromes and others. The provenance index records past owners, with brief biographical notes, and there is a select bibliography. The classified index of over 1000 French bookbinder’s tools, reproduced digitally in actual size, provides an authoritative reference file on the best French bookbinding of the period. This catalogue is handsomely printed and illustrated in colour and black-and-white. No earlier private library catalogue has excelled it in learning and none has come near to equalling it in beauty of presentation. It is likely to be the last, as well as the most distinguished, of its kind. By Giles Barber. 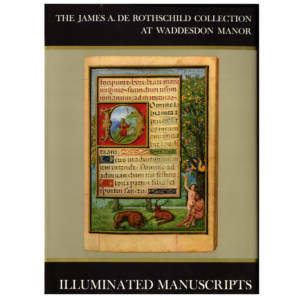 £150.00 More info & buy	Many are among the best products of the later Middle Ages, from the workshop of Jean Pucelle in Paris of the early 14th century, to that of Jean Bourdichon of Tours or of Simon Bening of Bruges, both of the early 16th century; some are valuable for their texts and others for the richness of their illumination. The catalogue descriptions are organised to emphasize the history of the medieval book. Their components, technical elements, texts, and illustrations, are analysed in the sequence in which they were produced, in order to reconstruct the life of each book and, as far as possible, its history. By L.M.J. Delaissé, James Marrow and John de Wit. 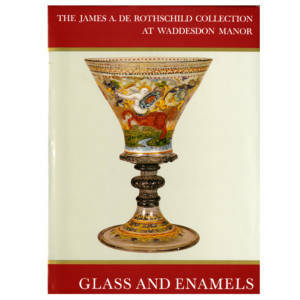 £150.00 More info & buy	The origins of all these glasses are studied and analysed in the introduction. The stained glass panels are from England, Switzerland and Germany and range in date from c.1400 to the mid-17th century; all were intended for domestic use. The Limoges enamels & dishes, plaques, and a ewer & cover the second great period of production there and include many of the great names, from the work of the Aeneid Master probably of 1525& 30, to one plaque by Léonard II Limosin of the beginning of the 17th century. A study on each artist's work precedes the catalogue entries on the group by or attributed to him. by R.J. Charleston, Michael Archer and Madeleine Marcheix. 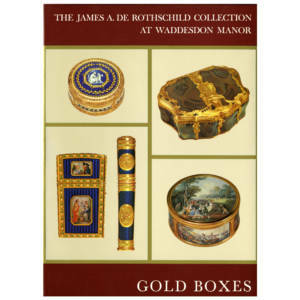 £200.00 More info & buy	Most prominent among these objects are the series of gold boxes made by leading Paris goldsmiths of the 1760's & 1780's and mounted with miniatures painted by the Van Blarenberghes. This group is one of the largest painted by this family, besides snuffboxes there are also bonbonnières, patch boxes, needlecases and other containers, in gold, sometimes enamelled, in hardstones, or covered in shagreen, and other precious materials. The creation and composition of the boxes in this exceptionally important collection, as well as the context in which they were used, are studied both in the introduction and in the catalogue entries. Authors: Serge Grandjean, Kirsten Aschengreen Piacenti, Charles Truman and Anthony Blun. 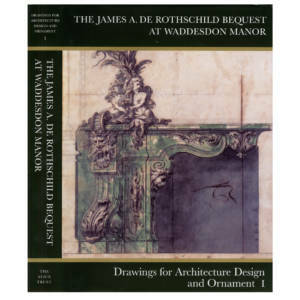 £250.00 More info & buy	Remarkable for the sheer abundance and quality of works by virtually every French 18th-century ornementiste or architect of note (Oppenord, Meissonier, Delafosse, Pillement, Cauvet, Gillot and Berain to name but a few), the catalogue also includes key contributions from their 17th-century precursors and a significant complement of German as well as Dutch and Italian designs. 2 volumes, 1080 entries, 1100 drawings reproduced in black and white, 96 colour plates. The catalogue has been compiled by leading scholars in the field and as a result is a major contribution to the understanding of an as yet little explored area of art history, collecting and material culture. The majority of the drawings are previously unpublished, so the collection is not as well-known as it deserves to be, although a small selection are displayed in changing exhibitions annually at the Manor.